Singer/songwriter and guitar and bass player Jeff “Santa Rita Slim” Ray will be our first guest this evening on Silver City Acoustic. Born in Silver City and “raised in space” (in Santa Rita, NM, now a mining hole in the ground), Jeff spent the last decades in Oregon and has now returned to our locale. In Eugene, he sat in with Junior Clark and various members of his band on old-time mountain music and bluegrass. Jeff’s experience with such diverse musical genres prepares him well for sitting in with various local musicians around Silver City, as well as being part of the very new, local, folk-rock-Americana Southern Rocky Mountain Band (which will be our featured band in the second half of the show). If that’s not enough, Jeff is devoted to singing his original and cover music on a weekly schedule to a rotation of four retirement homes in the area. We’ll hear some of that music and talk with him about his inspiration, collaborations, how music relates to the oral traditions of storytelling, and much more. In the second hour, we admit that we had really wanted to get some other musicians in the studio, but alas, none of them could make it. So Jean and I and possibly the fourth member of the new Southern Rocky Mountain Band (SoRockMo’ Band) will join Jeff in the second hour to play some of our favorite songs and talk about the launch of our folk-rock-Americana quartet. Our fourth member is Tom “Houndog” Romancik, who plays guitar, steel guitar, dobro, percussion and more. We’ve been working up a variety of music by Jackson Browne, Neil Young, Bob Dylan, and of course some of my original music. We’ll talk about how we all came to work together, as well as our inspirations and intentions. 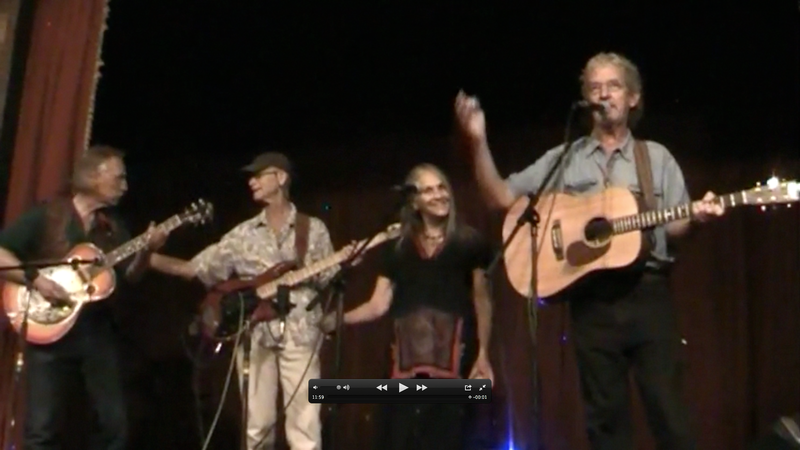 We recently debuted as a band at the Gila River Film Festival and CD Release Party. Our new website is at SouthernRockyMountainBand.org. 6:15-ish (right after the Community Calendar and Workers’ Independent News) til 8 pm MT. Our 5th “Silver City Acoustic” show started off with Dr. Iya Kahn, playing his first acoustic music ever in Silver City – impressing us with a whole new sound – and very sweet – including originals and love songs for Valentine’s Day. We heard about his growing up in Detroit, living with his musician father as a young adult in New York City, meeting many of the world’s great musicians there, and gigging regularly in Las Vegas. Now, he’s decided to exit the fast lane and settle in our quiet little burg – and we’re glad of it. 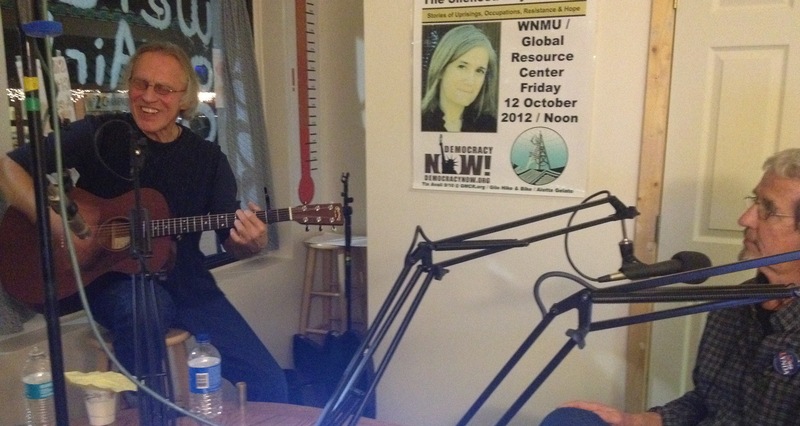 And thanks to Tom “Houndog” Romancik, our second guest, who played some fine guitar and dobro – also called a “houndog,” how he got his name – and also sang a soulful mix of originals and covers for us. We’re glad this musician from Sante Fe and Socorro (where he played with some fine musician friends of mine) has chosen Silver City as his new home. We expect to be hearing him more around town. Put it on your calendar to listen next week, when our guests will be Phil and Mary Brown in the first hour and the Latchkey Kids in the second. We’ll also be giving away a Red Molly CD in a phone-in contest! So, tune in and tune up – to KURU 89.1 FM, your station for local music like you never heard it before! Dr. Iya Kahn is widely known around town for energizing audiences, singing and playing clean, jazzy/bluesy guitar riffs over his pre-recorded – his own original – tracks of classic rock and blues favorites. This Thursday evening, though, Iya will unplug from that marvelous machinery and just bring his acoustic guitar to share with us some of his original music! 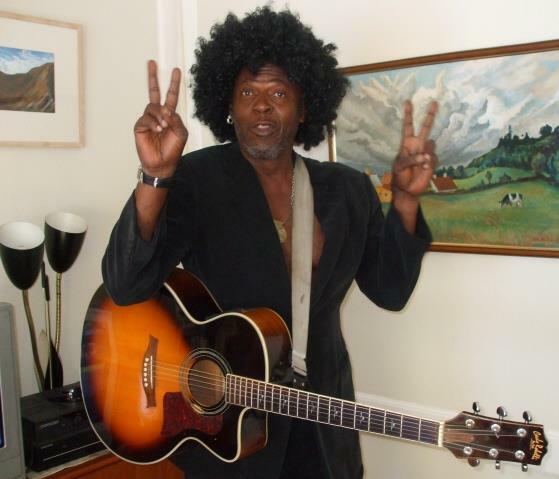 Looking forward to visiting and talking music with this dynamic man of Soul, Dr. Iya Kahn. In the second hour, we’ll get to know a fairly new arrival in town: Tom “Houndog” Romancik. 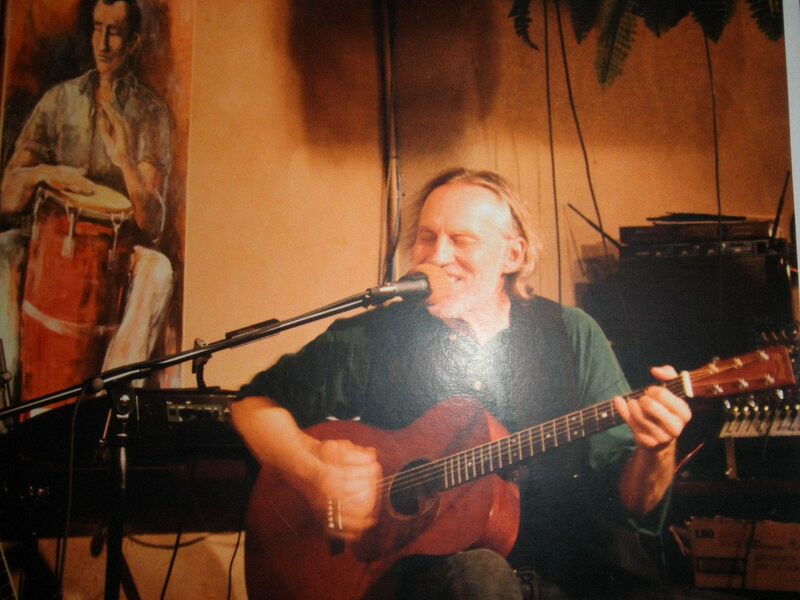 From northern New Mexico, Taos most recently, Tom played a couple of sets we caught at Yankie Creek Coffee House where he inspired numerous ovations with his original rock and blues. Looking forward to both these guests, both dynamic performers. In case you haven’t noticed, Silver City Acoustic begins after three short KURU items: Community Calendar, Workers’ Independent News, and Radio Bilingue – about 17 minutes after the top of the hour. After a short break around 7 pm, we come back with a Music Calendar, then introduce our second guest. Musicians are coming forward, and we’re developing a great calendar of music for you all. So, thanks for listening – and let me know what you think at sca@gmcr.org.